Hi all! 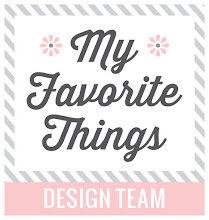 I'm back with a card for My Favorite Things November Release Countdown Day 5. As always, I'm in love with this month release because there's so many adorable and fun new products! So let's get started! Fold Up Tags for to die cut the tags on Petite Plaid Paper Pack, Berrylicious Card Stock and vellums. I stamp the images. coloring it using copic then die cut it. To color the background, I'm using Distress Ink Tumbled Glass with blending tool. I add some clear sequins for the embellishment. Thank you so much for stopping by and see you again tomorrow! Cute as ever! Love the sweet tags! OMG!!!! I so want this card. That paper I have to have. I really like how you used the vellum on top of the tag. The Happy Christmas oh my!! I'm lost for words. I love the plaid. These are great tags. Love your penguin card! So cute! This fold up tag set gives both cards and tags a super look. Great set of tags. Love the matching colors on the penguins hate and scarfs to match the plaid background. 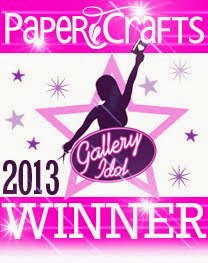 I love the plaid paper you used, too cute! Thank you for sharing your techniques with us and I can not wait until they are part of my stash! Such cute little penguins and I love them combined with the turquoise color!! So pretty! Love how you always create such great mixes of colors, inking, patterned paper, textures - all of it! These tags are absolutely adorable! I love the beautiful plaid paper and the cute penguins. 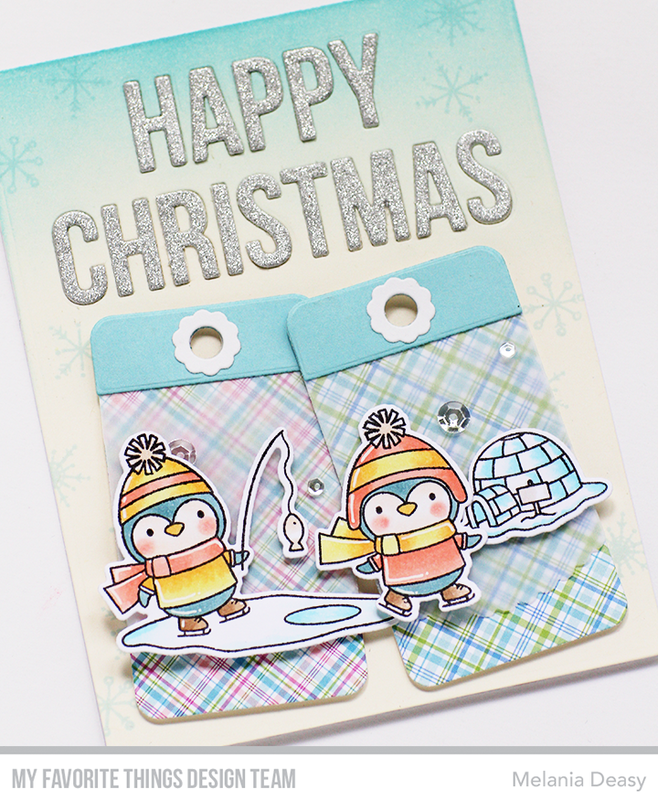 Charming penguins on plaid tags make wonderful tags! Awesome card and tags, I love the sparkly letters for the sentiment!